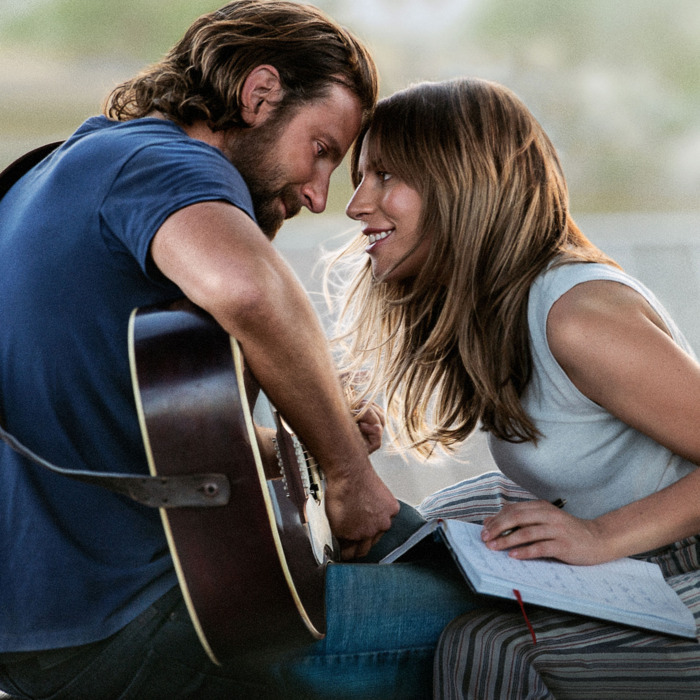 A Star is Born is everything a hopeless romantic needs from a movie. I fell in love with “love” again watching Bradley Cooper and Lady Gaga develop their relationship. The way their passion for music overlapped reminded me a lot of my fiancé and I. A Star is Born is one of the best movies that I’ve ever seen and undoubtedly has some of the best music I’ve heard in awhile. I don’t typically write movie reviews but I couldn’t let this moment pass me by. My favorite thing about A Star is Born was the undeniable connection between the main characters and the way they saved each other. Their story was a great reminder that it takes two people to make a relationship work. I loved the way he encouraged her to chase her dreams and was willing to aid her in becoming successful. He didn’t mind standing in her shadow, which empowered her to do what she was meant to do, be a song writer and singer. I think we glamorize fame and forget the price that it costs. His alcohol and drug addictions became a big deal throughout the movie. I love the way the writers started to unpack the weights of his past and gave us a glimpse of why he was abusing substances. It’s easy to put people in “addict” boxes without humanizing them, but that’s not the real world. Addicts don’t function in boxes alone, they’re our friends, family and co-workers. I was drawn to her desire to help him beat his addictions without taking ownership for them. You can love someone without taking on the burden of all of their problems. I think people forget that, often. A Star is Born did a great job of reminding of that the main characters were lovers with a powerful connection to one another and also talented individuals with demons to fight. It was empowering to see Lady Gaga talk through beauty standard issues and fight to maintain her physical appearance. I struggle with that sometimes, so it made those moments where she wanted to be what the label needed or what the world thought she should look like very real. It’s easy to fit into the status quo when you’re “it,” but it’s difficult when you’re on the outside looking in. The writers of A Star is Born did an amazing job on touching culturally relevant topics like substance abuse, marriage, music and self-esteem. Now let’s talk about the gut wrenching-ending that brought me to tears. I felt a piece of me cringe once he began to prepare to commit suicide then a deep pain once it was done. Although the movie doesn’t show Bradley Cooper physically hanging himself, that moment felt very real. The pain that it brought Lady Gaga and his brother were reminders that when someone commits suicide to end their pain, they’re leaving people they love in pain. I’ve never bawled like a baby at the theatre during a movie, but A Star is Born brought out a new wave of emotions in me. I think being recently engaged played a role, but honestly the story was just that good. If all of this wasn’t enough, I went to Apple Music to purchase the album after the movie was over. My favorite songs on the A Star Is Born soundtrack are Shallow, Remember Us This Way and I’ll Never Love Again. What were your favorite parts of A Star is Born? Ps. Thanks for reading. Would you like to see more movie and book reviews from me?